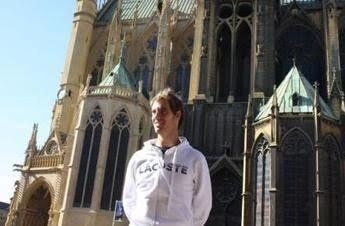 A lawsuit filed by Richard Gasquet has been dismissed, with no finding on whether he took cocaine nor whether an outside source was responsible. Pamela, the woman who kissed him was part of the investigation was ordered to attend a drug rehabilition program after she was found to be a regular cocaine user. Serena Williams has pulled out of Tokyo with knee and toe injuries. Roger Federer has pulled out of Toyko and Shanghai. He did not mention any specific reason for the withdrawals. In his website, Federer said "After consultation with my team and doctors, I decided to take the difficult decision to withdraw from both tournaments so that I can give my body a chance to rest, rehabilitate and fully recover from a physically challenging year." Kim Clijsters will centre her 2010 schedule around young daughter Jada and around the four Grand Slams, planning a limited program that will put family first. Clijsters said she ultimately plans to play a total of about 16 tournaments, concentrating on the four Grand Slams. For the rest of this season, she will play in two exhibition matches. Jelena Dokic's dad, Damir was sentenced to a 15-month jail term for threatening the Australian ambassador in Belgrade. The threats were made in relation to comments by Jelena in an interview with an Australian Sports & Style magazine.